However, when your body is in a chronic state of inflammation, the inflammation can lodge in your muscles, joints and tissues. In my practice I have seen countless cases where regardless of how many adjustments I perform, techniques I use, or how hard I try, I just can’t find a solution to completely eliminate a person’s pain. As I researched the subject of inflammation, I was not surprised to see the link between diet and chronic pain. I had long suspected a connection. After all, if certain foods can cause an allergic response (inflammation) in some individuals, then why could it not cause a pattern of pain symptoms in others? As I researched the subject I found that chronic inflammation was not only linked to allergies and pain but also to other health conditions. There are many factors besides diet that influence inflammation. Things like emotions, and lifestyle (sedentary) can also contribute to inflammation. Hopefully as you read these articles, you see the pattern. Health or the lack of it, including inflammation, is all about the choices we make in the way we live, eat, move and think. Since the focus of this week’s article is again on eating well, we’ll focus on foods. Foods are naturally pro-inflammatory or anti-inflammatory, so depending on what you eat, you may be fueling inflammation in your body. 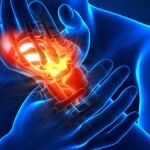 What foods cause inflammation? Processed meats and sausages contain chemicals such as nitrites that may cause inflammation and chronic disease. 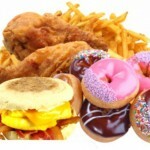 Consumption of junk foods, excess red meat, sugar and fast foods also encourages inflammation in the body. This is in part due to the unhealthy oils used in preparing and processing these food items, particularly trans fats/oils (hydrogenated oils), and saturated fats/ oils. Saturated fats are also present in meats, dairy products and eggs. Although, all of these items are important source of minerals and vitamins, they may be harmful in people with heart problems. These foods also contain fatty acids known as arachidonic acid. Although some arachidonic acid is crucial for health, a high concentration in the diet can aggravate inflammation. Dairy should be kept to a minimum (if at all) and meats should be lean with minimal fat. As far as sugar is concerned, too much can have devastating effects on human health, as I am sure you have noticed in previous HEALTH NEWS YOU CAN USE articles.